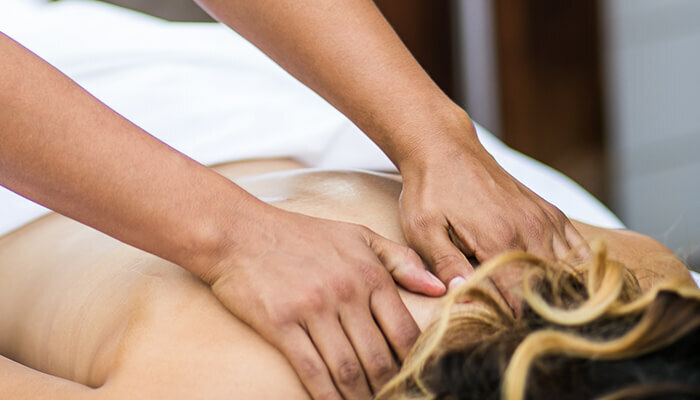 Heal the mind, body and spirit with a massage treatment from our professional therapists. Drink in the experience in our indoor/outdoor spa lodge or opt for an in-room session. Prices below are subject to change and do not include gratuity. Cancellations require a minimum 24-hour notice. Tailored to your specific pressure and needs. Relieve pain and tension or just relax and drift away. All organic safe for mother and baby. Essences of sweet orange, rose and help ease possible discomforts of pregnancy and keeps skin nourished to prevent the appearance of stretch marks. The most hypnotic and deeply relaxing scents of organic highland lavender, clary sage and grapefruit nourish hair & scalp inducing a deep state of peacefulness. Sooth tired legs and feet with therapeutic pressure and point work. Prices shown as single but all treatments can be done as couple massages. Calendula flowers from the Mediterranean coast combined with wild desert chaparral leaf stimulate, detoxify and smooth skin with the relaxing scent of the desert after a monsoon. Experience an aromatic journey of 7 luxurious oil blends infused with crystals and attuned to each one of the seven chakras. Body work with the most profound state of relaxation. Healing mask with desert aloe, organic lavender and seabuckthorn berry detoxifies. 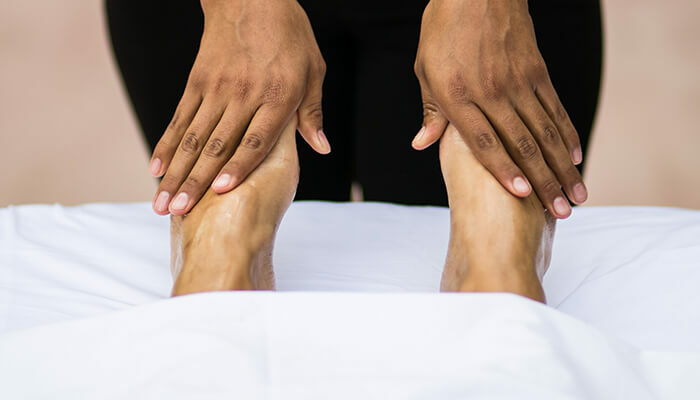 Massage follows with Moroccan mint and arnica which restores, refreshes, hydrates and revitalizes. Surrounded by candles… scents of rose, blood orange, cedar and white magnolia designed and blended together to entice and relax allowing energies to meet and merge with light to medium rhythmic pressures for a full body massage. Starting with an all organic relaxing full body scrub areas hard to reach during pregnancy, followed by a relaxing massage to ease discomforts and nourish skin. 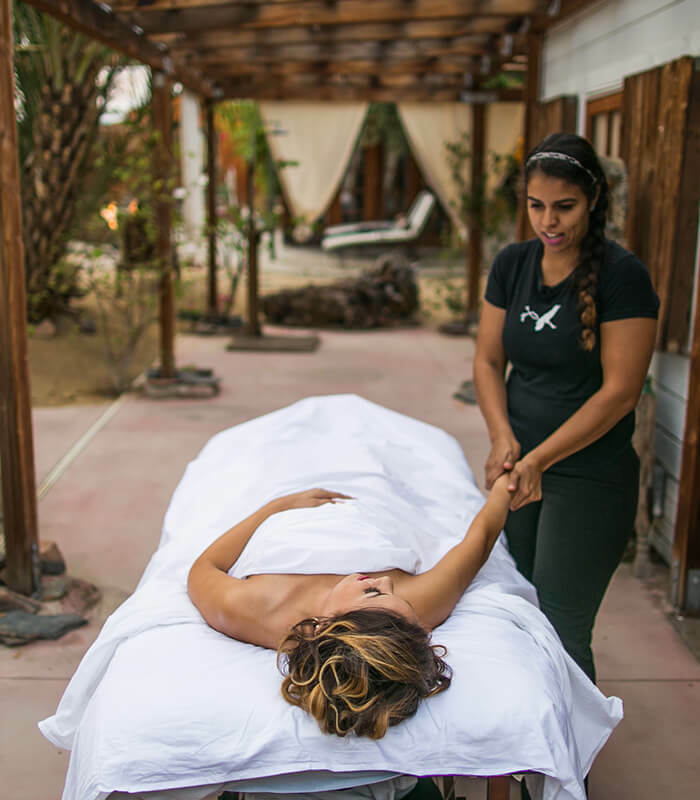 A full body scrub with fossilized desert salts and massage with inspiring and grounding oils of forest woods and resins wrapped around uplifting citrus notes increase immune function and highly reduce stress levels bringing mental clarity. Greet the day with sun salutations most Sunday mornings, compliments of Korakia. Surrender into the bliss of your breath and discover there is nowhere to go, as you are already right here! Dive deep within as you stir your subconscious into full awareness of the beauty of the day. Centering, calming and illuminating, each class is adapted to the energy and experience. Complimentary yoga offered most Sundays at 8: 15am. (Meet in Library off Lobby). Please inquire at the front desk for private sessions, available for $75 an hour. Cancellations require a minimum 24-hour notice. 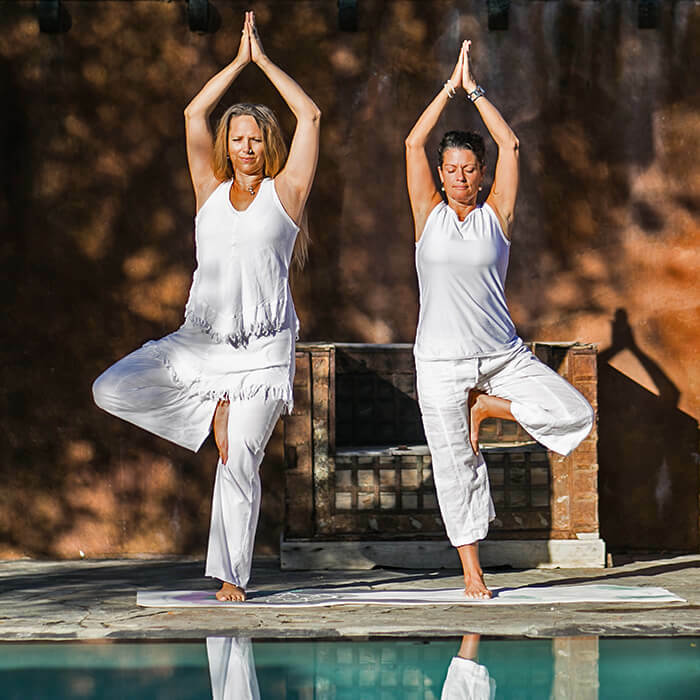 Korakia offers group retreats throughout the year and personal retreats upon availability.